The speed at which your site loads is an important factor in keeping your online readers engaged. Long page load times make readers impatient, frustrated and increasingly resistant to your brand or product. Fast page loads are not just important for your readers but also for SEO purposes. It is well known that page speed impacts Google page ranking and refer-ability. 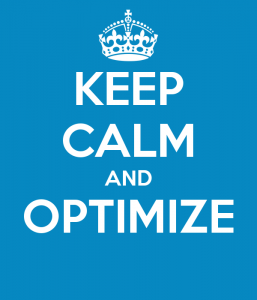 There are many ways of optimising your site. A quick win is to optimise the images your site uses. Images form a large part of your website size and so reducing their file size will not only save you webspace and bandwidth but also get you a faster page load – a win-win situation. Here at ItsmirHosting our favourite image optimiser is Yahoo’s Smush.it service. Smush.it is a lossless tool which reduces image file size without changing visual quality. You can optimise images directly on the Smush.it website very easily or if you have a WordPress installation there is a plugin (WP Smush.it) which does the work for you. There are lots of other free image optimisers out there – why not share your favourite by posting a comment!